I played with the title “Chicken Soup for the Spirit,” but that didn’t sound quite right, and then it morphed into “Chicken Soup for the Soul” – and I immediately got goosebumps (what Mark likes to call “God bumps”). They almost always seem to accompany an idea that is deeply aligned with what is for my highest good. I immediately got up from meditation and told my wife, who also got goosebumps. Then I called Mark, who got goosebumps, and our agent, who got goosebumps as well. By the end of the day the full title had emerged—Chicken Soup for the Soul: 101 Stories to Open the Heart and Rekindle the Spirit. One of the secrets of success that I have learned over the years is to never give up on the dreams that come from deep in your heart. And by this time, our dream had become more of a divine obsession. We couldn’t let it go. What is your inner guidance telling you to do? You’ve got big dreams and ambitions. Now, it’s time to start acting on them while taking your life to a whole new level. I’d like to invite you to sign up for my free webcast called the Success Formula. 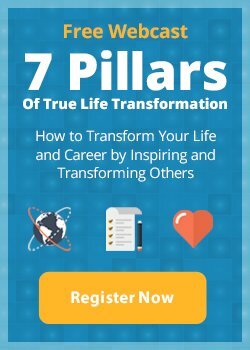 Do you want a more fulfilling career or business? Could your relationships be deeper, more rewarding, and more meaningful? If not, I’d like to challenge you to up-level every single aspect of your life, career, and lifestyle, STARTING NOW. I believe with the right tools, everyone can cultivate a mindset of success, and discover their greatest life purpose. If you feel like you’re stuck, or you’re in need of a breakthrough, click the button below to sign up today for my free webcast, The Success Formula.